Joseph Groh, a spinal cord injury survivor with a dogged commitment to helping others, never thought he would transition from the two wheels of his bike to the four years of his wheelchair. Where many spinal cord injury survivors might see nothing but hopelessness and frustration, Joe has always treated his life-changing injury as just another new life path. 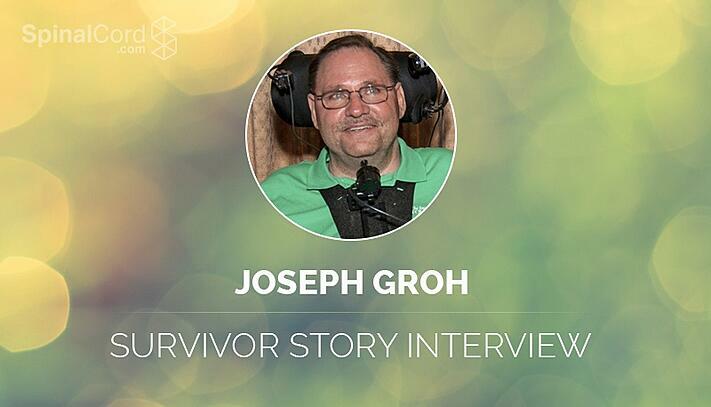 The Joseph Groh Foundation, which Joe and his wife started just a few short months after Joe broke his neck, instructs catastrophic injury survivors to “Never look back. Never give up. Remain positive.” Joe hopes his story will inspire others to embrace those lofty goals. Father's Day 2008 promised to be a relaxing day for the Groh family. Joe Groh's oldest son had just graduated college and flew in for the weekend to celebrate with his family. After a day unwinding as a family, Joe dropped his son off at the airport and took his daughter to the family's church for a mission trip. Basking in the relaxation of a peaceful Sunday afternoon, Joe decided to go for a bike ride near Lake Grapevine in Dallas, Texas. The ride was uneventful until, about 15 minutes in, the trail sharply veered to the left. As Joe entered the turn, his front wheel slid off of the path into a sandy area, throwing Joe over the handlebars of his bike. Joe says he remembers looking over the edge of the handlebars, knowing a fall was inevitable, and wondering how much it would hurt. Joe felt nothing. He didn't know it at the time, but he broke his neck at the C4 vertebra. Alone on an isolated trail with no help in sight, Joe lost consciousness for about 15 minutes. When he awoke, he called for help at regular intervals, but found his voice did not carry well. Joe knew he was in trouble and that he could not move, but had no idea when or if help would ever come. Joe wouldn't know it until much later, but he was lying in a fire ant bed, where the ants made a meal out of him. He felt nothing, and could not have defended himself by moving even if he could feel what was happening. This is the moment when Joe embraced the mentality of a survivor. He says he knew that he could not panic or embrace despair. His goal was simply to take things one step at a time, calling for help until it arrived—however long that might be. It was a father accompanied by his young son walking the trail. The pair approached Joe and offered to call for help. They also offered him a sip of the child's grape Gatorade. Joe was exhausted, severely injured, and parched from the first 100-degree day of the season. He says he'll always remember this small act of kindness and the relief a simple drink brought. To this day, Grape Gatorade is Joe's favorite drink. The transition to the hospital, and ultimately into recovery, was a blur for Joe and his family. “It's strange to hear sirens and know they're coming for you,” he remarked wryly. Reflecting on the terror and uncertainty of a life-changing injury, Joe was philosophical. He knew from the moment he landed that this was not a normal injury. Though he did not know what to expect, he vowed to himself to remain positive. He explained, “When you know your life is going to be different but you don't know how, you have to put a stake in the ground so you have a place to move forward from." When the ambulance arrived, a brief debate ensued over whether a flight to the trauma center might be a better option. All Joe could think about was his family. As the paramedics decided to drive him to the hospital, Joe asked them to call his wife but told them not to tell her his condition. Later, Joe says, his wife told him that hearing him talking to the paramedics in the background helped her believe that maybe things were not as bad as they seemed. This was Joe's goal. Even while facing a terrifying injury, he wanted to protect his family. The doctors acted quickly to help Joe and his family. He had surgery the following morning to fuse vertebrae C2-C6. He remained in intensive care for about 10 days, uncertain of what the next steps would be. Joe's weekly meetings with his medical team were not a source of much hope. He says he routinely entered a room filled with ashen faces and little reassurance. High cervical spine injuries are notoriously challenging to treat, with few prospects for long-term recovery. With a grim and uncertain future, Joe was released to a local rehab facility shortly after his intensive care stay. He was too injured to begin rehabilitation, and says it seems like his medical team was not sure what to do with him. He ended up in a ward dedicated to the treatment of traumatic brain injuries (TBI). These severe injuries can impede even the most basic life functions. The worst TBIs are often fatal. He shared a room with a nineteen-year-old who had suffered a catastrophic TBI. He listened, day in and day out, as a sea of family members visited his roommate, discussing what to do with him. This, he says, helped him realize he was fortunate to still have his mind. This theme emerges time and again in conversations with Joe: the notion that it could always be worse, that there is always something for which to be grateful. After a month in rehab, Joe's medical team decided there was little else they could do for him and released him to return home. One of Joe's neighbors had a doctoral degree in physical therapy, and—unbeknownst to Joe—had been acting to help him since well before Joe's return home.Many spinal cord injury survivors struggle to pay for home renovations to render their homes safe and wheelchair-accessible. Some even have to move. Thanks to his neighbor, Joe and his family did not have to face this challenge. The neighbor referred Joe to the Joey Wilkins Foundation. This foundation, which drew its inspiration from another spinal cord injury survivor, helps remodel homes so that spinal cord injury survivors can lead happy and productive lives. Thanks to the Foundation, Joe returned to a home that could already accommodate some of his needs. But the demands of life in a wheelchair were just the beginning of Joe's journey. Though Joe says his employer was sympathetic and understanding, he had left a high-powered job as Vice President of his firm. He knew he wouldn't be able to return, and was left wondering who he was—or who he would become. Joe was lucky enough to receive short and long-term disability to help prop up his family, but this financial assistance didn't come close to addressing the question of what Joe should do with the rest of his life. “I thought to myself, 'I don't have a job. I can't get out of bed. What the heck am I going to do?” Joe reflected. The answer, Joe says, came to him as he reflected on the kindness of his neighbor and the assistance he received from the Joey Wilkins Foundation. Joe knew he could use his years of knowledge in the HVAC and construction fields to help other spinal cord injury survivors. He began by reaching out to friends in the construction industry and working with them to offer disability benefits. At least one contractor was able to change an employee's life by doing precisely this. At Joe's urging, the contractor began offering disability.Shortly thereafter, an injured employee was able to take advantage of the program. Inspired by these early successes, Joe incorporated the Joseph Groh Foundation in 2009—less than a year after his injuries. Though he had fought sepsis and a number of obstacles to his own recovery, even these earliest days of recovery were dedicated to finding ways to help others. Today, the Joseph Groh Foundation provides a number of services to those connected with the construction industry, steadily endeavoring to help people who have suffered life-altering injuries. Like many spinal cord injury survivors, Joe was surprised by the changes in how people treated him after his accident. After all, he was the same person on the inside. But the wheelchair served as a consistent distraction. Early in his recovery journey, he and some other survivors went out in public together. He says they were treated like a circus act. It was only the first of many unpleasant experiences. Servers routinely spoke to his wife, asking her what Joe wants, instead of him. Joe says a boy was onceshocked to learn that Joe could speak, and that many believe that life in a wheelchair means a person must be mentally incapacitated. It's challenging not to be bothered by these judgments, and Joe says they haunted him at first. Ultimately, Joe says that—like every other step on the journey toward recovery from a spinal cord injury—attitude is everything. He encourages other spinal cord injury survivors to cultivate a strong sense of self to fend off the judgments of bystanders. “You can only influence yourself. You cannot change how others react to you. I learned to become comfortable in my own skin. My attitude now is that I do not have a problem with me. 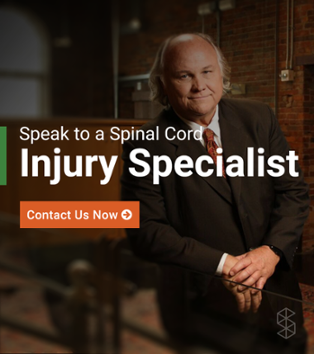 So if you have a problem with me, that's your problem, not mine, and you need to deal with it,” he sagely advised other spinal cord injury survivors. Joe's experiences have taught him some other lessons, too. He says when it comes to medical care, SCI survivors need to learn all they can, question everything, and diligently fight for quality care. “Be your own advocate. Learn everything you can about your injury. Don't necessarily take a doctor's word. Don't be passive. Be an active advocate for yourself. This is critical. Just critical,” he said. 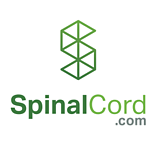 He suggests that spinal cord injury survivors find something they can be passionate about. By turning their attention outward, they shift their attention away from their injuries and onto something that can help them again feel excited about life. Joe is the author of From Two Wheels to Four. Sale proceeds exclusively benefit the Joseph Groh Foundation. He regularly offers speeches designed to inspire others to embrace hope, take action, and live meaningful lives. You can learn more about Joe's speaking engagements here.